Romance, Steampunk, Cats! And a Giveaway! Ok, first of all, my Tor and Harper reps have come through! 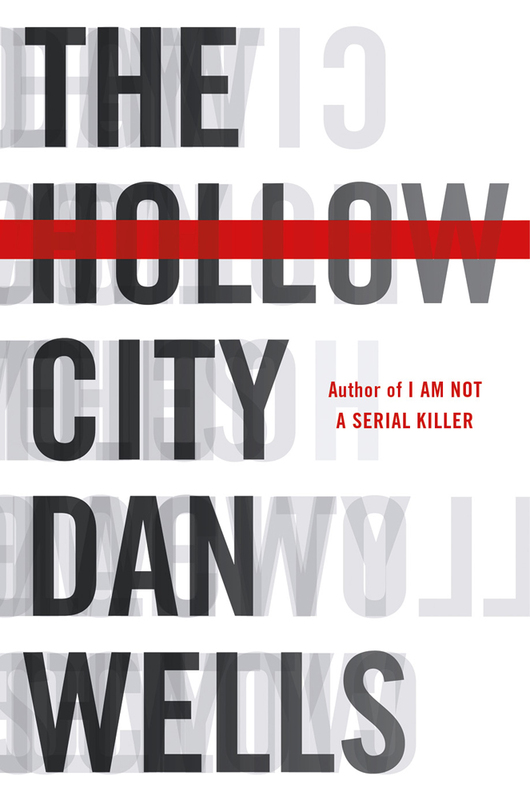 I’m going to have copies of The Hollow City and Partials to give away after our signing with Dan Wells. I’m not sure exactly how many copies of each I’ll have, but it should be several of each. The signing is July 6. I will announce the winners on July 15. 1. Leave a comment below to enter. 2. Tell me which book you want; The Hollow City or Partials. Now, onto my books. My 100 in 2012 challenge is going pretty well. I’m on #45 right now. I’ve got two weeks to read five more books to be right on track. I think I can make it. I am distracting myself a little bit right now. I’m listening to a book that I’ve already read – Phoenix and Ashes by Mercedes Lackey. It’s in her Elemental Masters series and is set during World War I. It hasn’t come through in this blog too much yet, but I’m obsessed with WWI. Or, specifically, I’m obsessed with WWI era fiction. I haven’t read too much straight history yet, but I’m starting to. I’ve actually got an idea for a novel set during WWI or possibly WWII, so I’ll be doing research for that soon. Expect to see some actual non-fiction show up on this blog in coming months. This is #2 in the Smythe-Smith series. I haven’t actually read book 1, but I’ve read the entire Bridgerton series and the Smythe-Smith girls figure into that series. The Smythe-Smiths are the most untalented musicians in London, but every year all available Smythe-Smith girls give a musical performance. On this particular year one of the girls feigns an illness and her very attractive governess, Miss Wynter, is unfortunate enough to take her place at the pianoforte. There, she catches the eye of the Earl of Winstead, an unmusical Smythe-Smith himself and the cousin of her pupils. Daniel has recently returned from a not entirely self-imposed exile to the Continent following a disastrous duel. Encountering the mysterious Miss Wynter in a deserted hallway is a much more pleasant welcome home than he had expected. His attraction is slightly tempered due to the possible danger that still haunts him. The father of the man he wounded so many years ago may still be after his blood. For her part, Anne knows that falling for Daniel Smythe-Smith is the last thing she can afford to do. Her own past is as fraught with danger as his. More so, because she does not dare to use her real name. She cannot afford the slightest hint of a scandal nor any scrutiny of her background. But logic rarely tempers passion as most of the Smythe-Smiths can attest. I’ve been reading Julia Quinn for years. If I didn’t like her so much I’d probably be insanely envious. She’s pretty, talented, oh yeah, she went to Harvard and won the jackpot on The Weakest Link. So… there’s that. It’s ok. I work at a bookstore and read awesome books, and have a blog… and I won some audiobooks from Random House one time. It’s kind of the same. Really though, I enjoy her books tremendously. They’re romance that isn’t pure fluff. Her heroines are usually well thought out, intelligent women. Her heroes rarely throb anything, nor do they have crisp mats of chest hair, which just wierds me out. They’re genuinely nice guys even when they don’t think they are. Her historical details are well researched and I never have to jump up and down screaming, “You can’t do that with a corset!” (Which yes, I actually do.) 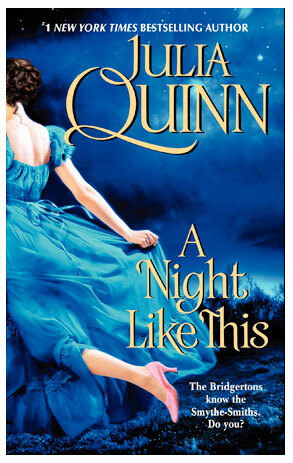 So, if you’re thinking about picking up a Regency romance I can highly recommend Julia Quinn. There is a great piece by him over at Steamed called Ideas in Action. It’s a very interesting look at the ugly side of history and what steampunk can do with it. 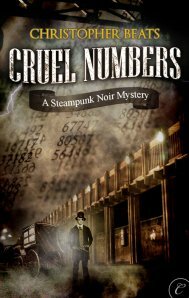 Cruel Numbers is another look at the ugly side of history. It’s a noir mystery set in a steampunk New York run by a Magnocracy. The War of the Southern Succession went a little differently than we might remember and the shattered republic became a very different thing. Money runs the country now and the power is in the hands of the magnates. Steam and clockwork and automation are the rising powers. Donovan Schist is an Irish-German private investigator. He worked for the Pinkertons for a while until he couldn’t stomach it anymore. Now he works for himself and mostly stays out of trouble. He’s working on a case. Small time stuff. Searching for a missing Irish girl. In New York. That’s gonna go well, but her mother and her uncle have come all the way from Erie to check on his progress and somehow he just can’t turn them away with a simple explanation. However, the more he looks into the case the more it becomes obvious that there’s nothing simple about the disappearance of Bridget Cleary. Somehow, a simple Irish girl has become caught up with a magnate and anyone who asks about her is likely to end up dead. I listened to the audiobook version of this novella. It was very well done. It ended up being darker than I had expected, but really good. Donovan is a mostly good man in a difficult position. I’d definitely be interested in his further adventures. These books are near and dear to my heart. This is #20 in the series. I’ve missed a few here and there (like this one), but I’ve been reading the series since I was 8 or 9 years old. My mom and I would scour the used bookstores and library sales to find these and then share them. The protagonist, Jim Qwilleran used to be a crime reporter in the major metropolitan areas Down Below (everything south of Pickax, which is 400 miles north of everywhere). He stumbled upon an amazing inheritance and has become the wealthiest man in the northeast central United States. He caters to the whims of two Siamese cats, Koko and Yumyum who rule his house with an iron paw. Koko has investigative tendencies and when murder occurs in Moose County Koko is on the scene with a death howl and various eccentric behaviors which always indicate the killer. The specific plot points aren’t terribly important. This is a very long series with pretty easily recognized patterns. In this particular book Moose County has a new art center. The director has lots of complaints, including one about the unsightly farm-house across the road. Soon thereafter the farm-house burns down, with the owner inside. Qwill and Koko set out to investigate the death of a remarkable old woman. These aren’t groundbreaking literature by any means, but I love them. I got this one at the Eclipse Coffee in Montevallo. They’re really neat if you’re ever in the area. 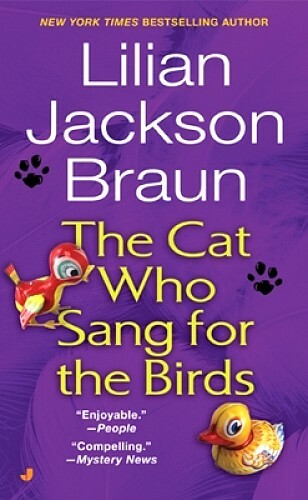 The Cat Who series started in 1966 with The Cat Who Could Read Backwards and ended in 2007 with The Cat Who had 60 Whiskers, which was the 29th book in the series. I reread or listen to these fairly often. They’re like my comfort food. Apparently, I never published this? Oops! I’m sorry! Loved Partials. Looking forward to the next one! I’ve been meaning to get into noir-ish fiction and Cruel Number looks like a good first step. Great post! Congratulations! You win one of the copies of The Hollow City! Please email me at medusasmirror@gmail.com with the address you’d like me to send it to. Congratulations Esmale! You win one of the copies of Partials! Please email me at medusasmirror@gmail.com with the address you’d like me to send it to. I’d like to enter for THE HOLLOW CITY. I would also like to ask Dan how he draws a balance between writing horror without becoming overly gory or profane. Where is his limit? I’m just gonna take a chance and apply to enter to win a signed copy of The Hollow City. I have met Dan Wells [if he’s reading this then: Hi Dan, I don’t know if you remember but I’m the girl who did a character analysis on John Cleaver which I got an A on, woo] before but I was so tongue-tied and had no idea what to say or ask, despite my attempts to rehearse what I’d say. I guess meeting my favorite author was more nerve-wrecking than expected. If I could meet him again and have a clearer mind and a better grasp on my words and maybe not shake as much, I’d probably ask him what sparked his interest in things such as serial killers and sociopaths. I myself am definitely interested in that topic as well. Actually, I’d either ask him that or if he watches Supernatural ’cause some parts of the John Cleaver series remind me the show, such as the Impala and Mr. Crowley’s and Mr. Jensen’s names. And because it’d be all kinds of awesome if my favorite author watches my favorite show. Congratulations Kelsey! You win one of the copies of The Hollow City! Please email me at medusasmirror@gmail.com with the address you’d like me to send it to. Dan Wells is for sure one of my favorite authors! I’ve already gotten and read The Hollow City because I knew I’d love it since John Wayne Cleaver series is on of my top 3 favorites, but I haven’t had a chance to get or read Partials yet! So I would definitely like a Partials. I’m not sure what I would ask Dan, other than maybe insisting he continue John’s saga! It was left so open! I may also ask if he has plans on delving into any other psychological malfunctions? I had to give my Hollow City back! I thought she gave it to me, but I guess I was just borrowing it lol. 😥 So I’d like to change my Partials request to Hollow City lol I’ll just have to keep waiting for Partials, I guess. Congratulations Kathleen! You win one of the copies of The Hollow City! Please email me at medusasmirror@gmail.com with the address you’d like me to send it to. I would like a Partials, please! What is your most influential childhood memory that caused you to write the way you do? Hope I’m not too late! I’d like The Hollow City, please. I was disappointed that I couldn’t make it out to the signing. Argh. My questions is this: What are the most important attributes to remaining sane as a writer? Congratulations Mary! You win one of the copies of The Hollow City! Please email me at medusasmirror@gmail.com with the address you’d like me to send it to. I’d like to enter the give away for ‘The Hollow City’. My question for him would be: How much do you relate to John Cleaver? I’d love a copy of Hollow City. Dan is coming to Portland this week and Im going to ask him if he can keep his current assistant when he goes to Germany. I would like The Hollow City because I already have Partials, but wouldn’t say no to a signed copy of it anyway… 🙂 My question, if I could only ask one, would be if he had difficulty writing a paranoid schizophrenic in first person. If it messed him up a bit while he was writing. I ask because I remember him mentioning on Writing Excuses about the scene in the kitchen with John Cleaver and how that messed him up for a few days. I was just wondering if there were more of those scenes in this novel and if it was more difficult than writing a sociopath. Congratulations Alissa! You win one of the copies of The Hollow City! Please email me at medusasmirror@gmail.com with the address you’d like me to send it to. Congratulations Sera! You win one of the copies of Partials! Please email me at medusasmirror@gmail.com with the address you’d like me to send it to. As I’m currently enjoying Partials, I’d like to request a copy of Hollow City. I’d ask Dan when he’d be back in SLC so we can hang out again like we did last year with Larry Correia and Dan’s uncle Richard. I would like a copy of Partials! Big fan of the John Cleaver books and am looking forward to both of these! Congratulations Reece! You win one of the copies of Partials! Please email me at medusasmirror@gmail.com with the address you’d like me to send it to. Partials! I would ask Dan for a behind-the-scenes perspective on his podcast Writing Excuses. Congratulations Nicole! 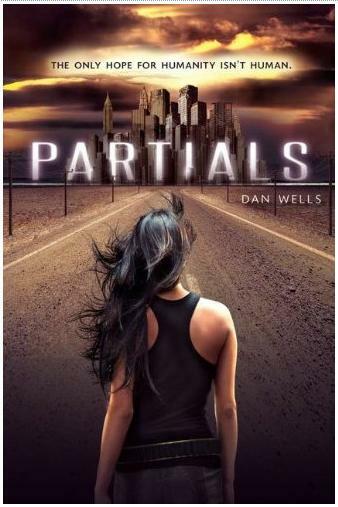 You win one of the copies of Partials! Please email me at medusasmirror@gmail.com with the address you’d like me to send it to. Had I made it, I’d have asked Mr. Wells nicely if he’d sign the copy of ‘I am not a serial killer’ that I’d carried around all day, just in case.